According to Aljazeera sources, ISIL has completed the taking of Hit district in the al-Anbar Province of Iraq. At a time when, supposedly, a range of coalition partners is taking on ISIL and attempting to push it back from the territory it has taken in Syria and Iraq, in fact the organization goes on expanding. It has added to its holdings in Iraq’s western al-Anbar province in recent weeks, including Hit district. Along with the district, ISIL has been able to invade al-Anbar’s 3rd largest military base, home of the 7th Army, and to loot it for medium and heavy weaponry, including tanks and armored vehicles. ISIL hit the base with suicide car-bombers at the outer walls and chased the Iraqi army away. The organization uses human suicide bombers for tactical infantry operations, sort of the way most armies would toss in hand grenades or fire mortar shells or supporting artillery. ISIL is now estimated by some Iraqi army officers to be in control of 80% of al-Anbar Province. 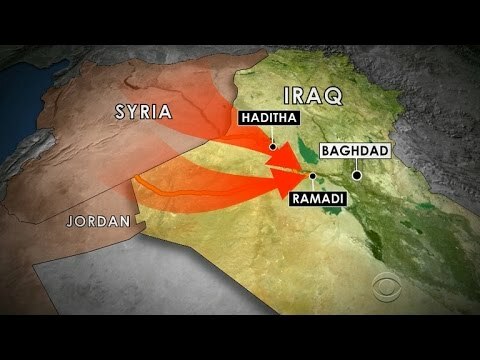 Apparently ISIL strategy is to next completely take Ramadi, the capital of al-Anbar, and to use it as a base for taking Baghdad.